Blinds Singapore offers high quality roller blinds, venetian blinds, outdoor blinds at the most affordable prices in Singapore. We also offer affordable blackout and day curtains for sale. 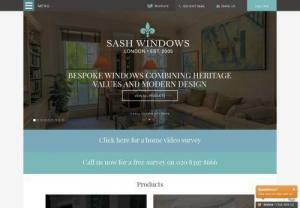 Sash Windows London Ltd are a bespoke double glazing and sash windows manufacturer based in London. We specialise in high end timber, UPVC and aluminium sash windows and install throughout London and the south of England. 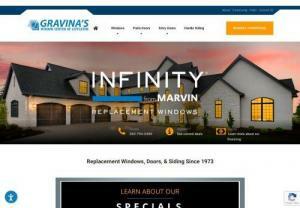 It's specilizes in replacement and new construction windows and doors on Long Island, NY. Find out more and schedule your FREE estimate here! Leader in Irish window blind industry with unbeatable price and the best quality Wooden blinds, Vertical blinds, Roller blinds, Roman blinds, Faux blinds, Pleated blinds. Avail measure and blinds fitting service nationwide. We are a local window cleaning business located in Clark County, Wa. With customer service as the first priority, you can rest assured your windows will be spotless and we will be professional. City Exteriors OKC has been offering custom built replacement windows. This brand available with aluminum, vinyl window frames, non-impact and impact resistant glass in Oklahoma City. Bahrs Glass in Zephyrhills serves the Tampa Bay area with glass for homes, businesses and cars- Call Us today at (813) 782-3513 for a free estimate. Elain Blinds has years of interior designs experience can help you to decorate your home or office. We are the biggest roller blinds and zebra blinds in Perth. 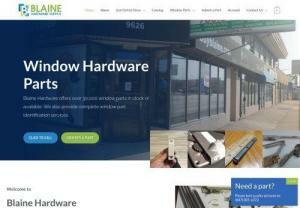 Siding installation and repair company website for private houses and commercial buildings. We are working with vinyl siding, fiber cement siding, wood siding and others. We are also engaged in the installation of windows, doors, gutters. Western glass restoration has been servicing glass restoration for over 28 years we have the experience to get the job done right the first time. Call Us: (949)253-7700. Premium Blinds Co. Is a provider of custom designed window treatments. We manufacture manual and motorized window treatments, which includes; Custom Blinds, Shades, Drapes, and Curtains that can all be smart home integrated. We also specialize in providing interior and exterior shading solutions for residential, commercial and marine spaces in South Florida. Have your home made cooler and more private with Southern Cross Window Tinting's new services in home window tinting and office window tinting.